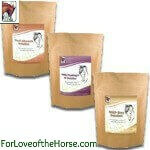 If your horse has laminitis, these three formulas are essential for your horse's recovery. Together they effectively stop a laminitic episode, recover the hoof damage and prevent another occurrence by dealing with the underlying metabolic dysfunction that causes laminitis. Laminitis [systemically based] is a consequence of Insulin Resistance (IR). IR is a progressive disease that will continue with the risk of more frequent and severe laminitic episodes unless effectively treated and reversed. As IR progresses, there are other accompanying health consequences that develop such as immune function deficiency, intestinal malabsorption, anemia, and increased risk of colic. 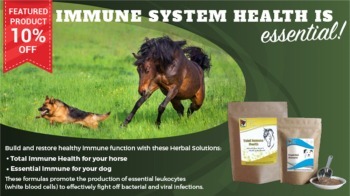 The EMS/Cushing's/IR Herbal Solution is the foundation formula for the recovery of an IR horse in all aspects. This phenomenal formula was created by Dr. Thomas, through years of extensive research into both the pathophysiology of the underlying metabolic dysfunction and the biochemical and directive properties of pharmaceutically prepared herbal extracts. Within the first 48 hours of the initial "trigger" of a laminitic episode, there is a floodgate release of the enzyme called MMP (matrix metalloproteinase).This overload of MMP causes laminae separation (or rotation of the coffin bone).The MMP Stop Herbal Solution works quickly to stop this overload, effectively stopping the laminae separation and subsequent damage to the hoof. When the regulation of the MMP's is reestablished, the hoof can begin to heal. 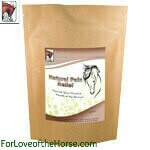 This formula shuts the floodgate and clears toxins from the hoof. Use it for 5 days following a laminitic episode, or whenever your horse has had an overload of fructans [such as sweet grass] or you see any sudden hoof soreness or lameness (the typical "camped out" stance). Following a laminitic episode, there is dead tissue, microorganisms, fluid swelling, and inflammation remaining in the hoof. This is the source of chronic abscessing that can continue for days or weeks after the initial laminitic episode. Due to the severity of pain, these abscesses are often mistaken for a new or ongoing episode. The Hoof Ailments formula will recover damage inside the hoof, promote the discharge of pus, help with the pain, and regenerate new, healthy tissue. Confused on how to help your horse? We'll be happy to help. 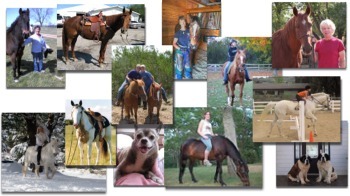 Fill out and submit our Horse Health Questionnaire or call and ask us to send you the form. We will then be able to more precisely assist you by email or phone to monitor and support your horse's healing process. 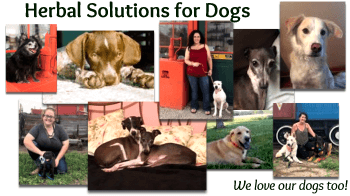 We are here to help you throughout the entire aspect of the recovery process. Save $30 when you buy the Recovery Trio package. Recovery Trio Discounts Apply !